We are meticulous not only about the quality of the goat milk we use for our cheese, but also the process by which we create it. Our plant is exclusively used for the production of goat products, so you can be confident of their purity and integrity. 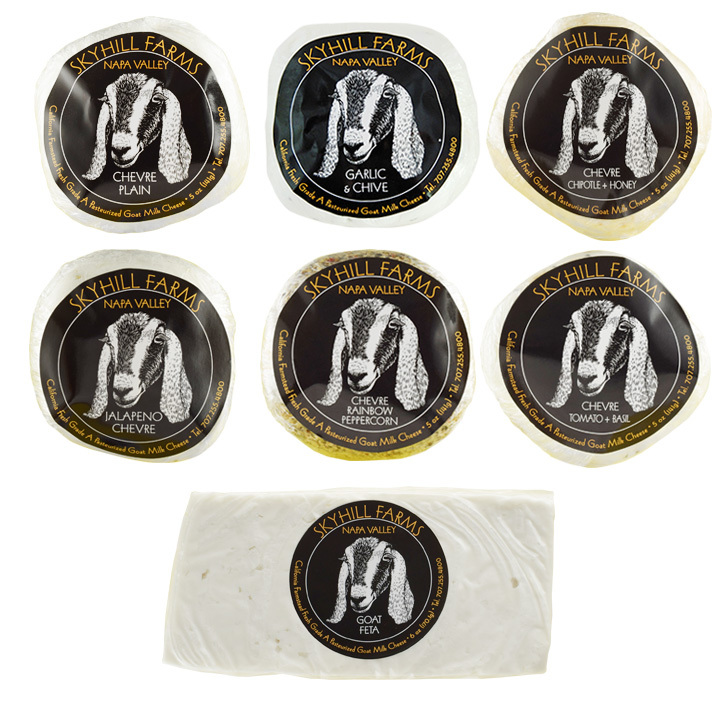 Our artisan cheese is also created in small batches, using only the best ingredients: fresh California grade A goat’s milk (never imported or frozen), vegetable rennet, and sea salt. Every order is prepared by hand, in sequence, to ensure a fresh, consistent, and natural product which we are proud to deliver to our customers. Please contact us directly with questions or comments at wmccosker@skyhillfarms.com and we will be happy to keep you informed of our progress and future growth.